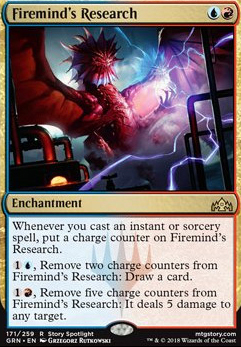 , Remove five charge counters from Firemind's Research: It deals 5 damage to target creature, player or planeswalker. With 35 instants and sorceries, you could make a case for Firemind's Research . 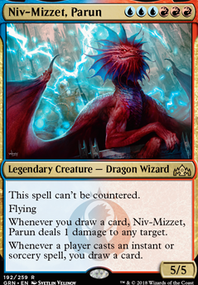 Ral, Izzet Viceroy is hard to defend in this deck should really be a sideboard card, and even then i think Niv-Mizzet, Parun tops it. 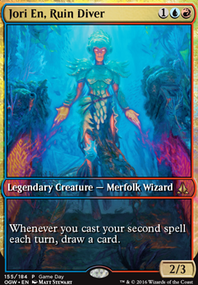 I threw mirrorpool out there as another copy effect. 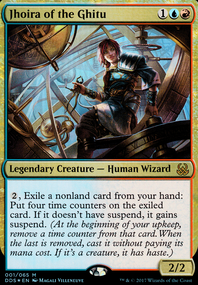 If you want to run enter the infinite + lab man that kind of defeats the purpose of being a storm deck and not just a generic izzet lab man deck since Melek doesn't interact with any of that (just one opinion). But it all depends on what level of play you are up against. 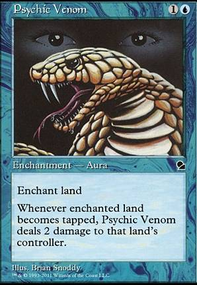 If you are going against CEDH style decks, you need to bring back your counter magic, if you are playing against just regular tuned decks, you might want to consider some defensive spells since you don't have very many options defending your life total. 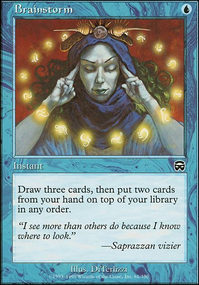 Long-Term Plans is another tutor option you can add to find your combo and Firemind's Research is a really solid card draw outlet for spell slinging and removal in a pinch. This should give me a little more control, and has added some much needed combos in. Still not where I want to be with the deck overall yet, but all I could afford to put in for now. Will make some more changes after Christmas is out of the way, and once I have played with it a bit more to see what exactly needs doing. CrimsonKing so I did have 2 Settle the Wreckage in the sideboard, but found that there was almost no matchup that I want to bring them in. My original thought was that it would be good against Izzet Pheonix, but between Seal Away, Vraska's Contempt, Profane Procession Flip and even Thaumatic Compass Flip, the only problem that I have against them are their sideboard cards (Niv-Mizzet, Parun, Firemind's Research, Ral, Izzet Viceroy and sometimes Sarkhan, Fireblood) and I usually leave Settle in the sideboard. Even against aggro decks I tend to not need Settle with all the maindeck removal/sweepers. I haven't played against a Carnage Tyrant deck yet and I will definitely try to find room for 2 Cleansing Nova in the sideboard, but right now my worst matchup that I absolutely need to improve is Jeskai. 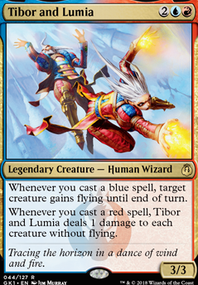 i think Firemind's Research and Ral, Izzet Viceroy are too slow for this deck. I think running Spell Pierce and maybe Negate and Essence Scatter are better fits for the sideboard. Also i feel like Expansion / Explosion fits p well in this deck and work as a counter spell or draw, making it very versatile in any matchup.